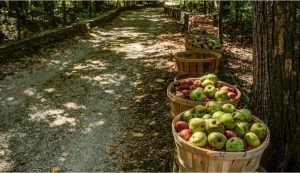 Have you always dreamed of living in a cabin or farmhouse away from the hustle and bustle of city life? You’re in luck! Throughout our eight-state footprint, we have some of the most beautiful and diverse country-inspired luxury homes in the United States. Whether you’re looking for a weekend getaway or a permanent vacation, our Homes of Distinction program has your perfect retreat. 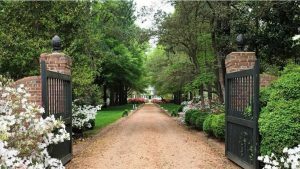 Take some time to browse this short list of a few of our favorite luxury estates located just outside the city limits. 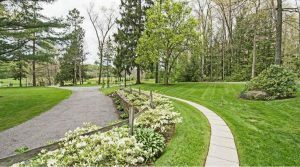 Experience serenity and privacy in this splendid home that sits majestically on 77 beautiful acres. This six-bedroom home in Ligonier Township is not only charming, but has all the modern necessities such as a three-car garage, along with a French garden, a wine cellar, and even a sauna. You won’t be roughing it in this amazing, one-of-a-kind country estate! 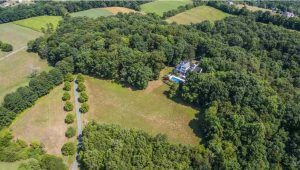 Secluded and stunning, this property offers 9+ acres of level and rolling land. The pool area is completely private and perfect for entertaining, and the kitchen is newly updated with granite countertops and stainless steel appliances. Two outbuildings (a heated garage and a barn) can house a car collection or other toys. It’s time to call this cozy and unique home yours! Own a stone-and-cedar masterpiece inspired by Frank Lloyd Wright! 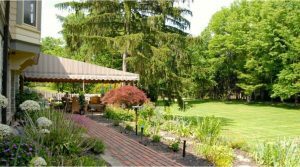 A beautiful deck overlooks the wooded 2.5 acres of property nestled in Jefferson Hills. Designed for single-level living, three of the seven bedrooms are on the main level with bonus living spaces both upstairs and downstairs. Enjoy the peaceful, natural setting provided by this truly special property. Leave city life behind with this stunning home on 35+ sequestered acres. Enjoy panoramic mountain vistas from the 3,600-square-foot, light-filled interior, as well as the expansive deck, patio, and secluded pool area. 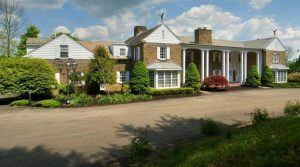 This mountaintop jewel is conveniently located just minutes from Harrisburg, Carlisle, and Camp Hill in south-central Pennsylvania. 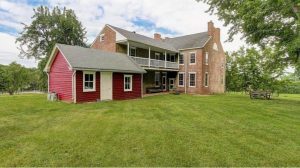 Situated on 23 acres of fields, streams, and woods, this historic 1830s farmhouse has all the original woodwork, eight cozy fireplaces, and three staircases, along with six bedrooms, three baths, a laundry room, two attic rooms, and more. Filled with charm and character, this home located between Harrisburg and Lancaster offers the serenity of country living. Bring a little adventure to your life in this custom, all stone residence on 8 acres. 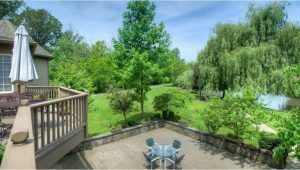 With incredible views of the Ligonier Valley and a large stocked pond, you’ll never want to leave. 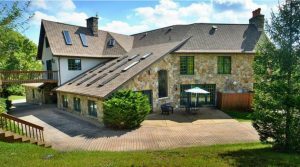 Close to Seven Springs and only minutes to Valley School of Ligonier and the Rolling Rock Club, this perfectly private estate offers a Laurel Highlands lifestyle at its best. Built in 1890, this historic farmhouse situated on 93 acres is a fantastic blend of old and new. The lovely in-ground pool with pavilion is perfect for entertaining or relaxing. A large bank barn and equipment shed are included on the property, along with a separate three-bedroom home for extended family or guests. Don’t miss this chance to own a piece of paradise! The historic importance and details were maintained when this unique 1937 home was updated for today’s lifestyle. Marble sills, 18-inch stone walls, hand-hewn beams, and wide-plank, crosscut oak floors are hallmarks of this distinctive property. Originally built as a summer lodge, this beautiful retreat is just 45 minutes from Pittsburgh. Lisburne is a magnificent Georgian Manor on Vaughan’s Creek with 70+ acres of water frontage and glorious gardens. Restored to its original elegance, the circa 1810 residence has heart pine floors, exquisite mantels, and moldings, raised paneling, and high-ceilings. Stables, tennis courts, and a pool with pool house are among the amenities of this historic waterfront estate in the Chesapeake Bay Region of Virginia. An expansive deck and lush landscaping frame this wonderful East Hampton-inspired home overlooking Barrington Golf and Country Club. Relax in the fabulous two-story great room that brings the outdoors to you through floor-to-ceiling windows. Perfect for entertaining, the incomparable lower level has a wet bar and a second kitchen with commercial appliances! 46 sweeping acres form the perfect backdrop for this French Country statement home accompanied by a greenhouse, apple orchard, gardens, koi pond, and “Old Hickory,” a private two-story retreat. An in-ground pool and hot tub offer a serene everyday vacation during warm weather, and the beautiful grounds can be enjoyed in every season. Creekside Manor Estate is a remarkable converted barn on 15+ acres of beautiful, gated property. The home features a wide-open floor plan designed for entertaining and spans over 9,500 square feet. Barns with heat and A/C are serviced by three large pastures. The fabulous in-ground pool and patio area has a separate pool house with a full kitchen! 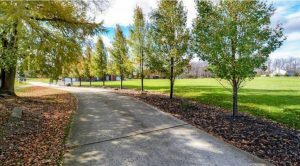 On 11+ acres overlooking the Sandusky River, this incredible country estate with 9 bedrooms and 8 baths is a private residence that would also be an ideal retreat, spa, or B&B. This one-of-a-kind property offers a serene and private location. 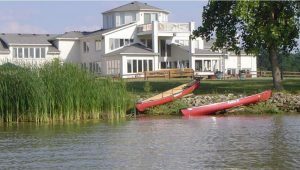 Enjoy the nature trails and year-round water activities, and dock your boat at the adjacent marina. Escape the every day on 10+ acres in prestigious Waite Hill. The main house is a lovely retreat less than 20 years old with 5 bedrooms and 6 baths. 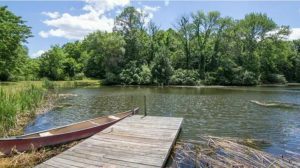 The property is replete with a 2.5-acre pond (fish, dock, and beach included!). When you’re ready to leave your sanctuary, it’s only 25 minutes to downtown Cleveland and 15 minutes to Lake Erie! There’s no need to go anywhere else when you call this magnificent home yours! 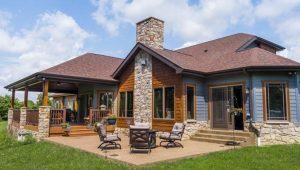 Situated on over 31 acres of serenity with breathtaking lake views, the open floor plan is warm and inviting with meticulous attention to detail and tons of natural light. The carriage house is a versatile bonus and a hobbyist’s dream! 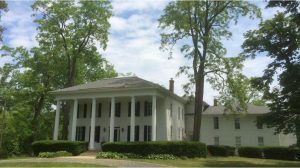 This gorgeous historic home is the perfect city getaway, set on 17.5 lovely, wooded acres. With over 6,000 finished square feet and 26 rooms, it was built in the mid-1800s and boasts original woodwork, antique windows and lighting, plaster walls, solid handmade doors, and four fireplaces. Best of all, this elegant home is only ten minutes from downtown Ann Arbor! Situated on 5.59 acres in Daisy Hill, this incredible home contains a spectacular lower level offering a large family room with a wood-burning fireplace, a dining area, and a second kitchen for entertaining that has a copper sink. Finished throughout, this level includes a guest bedroom suite, a workout room with a full bath, and access to the lovely patio and in-ground pool!